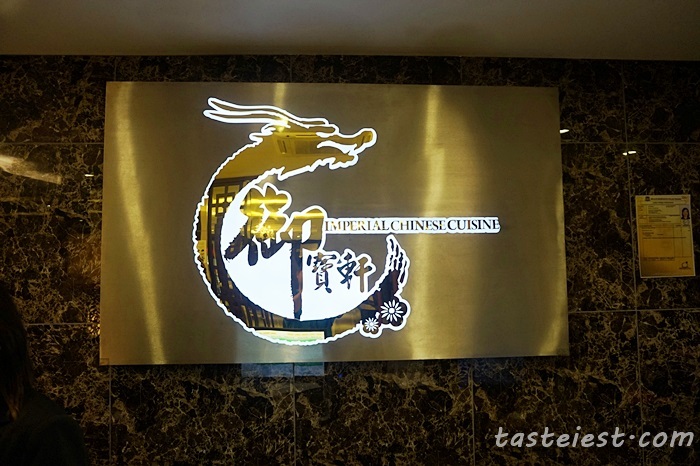 Imperial Chinese Cuisine located at basement of Prangin Mall, a newly open luxury decorated restaurant with private room. 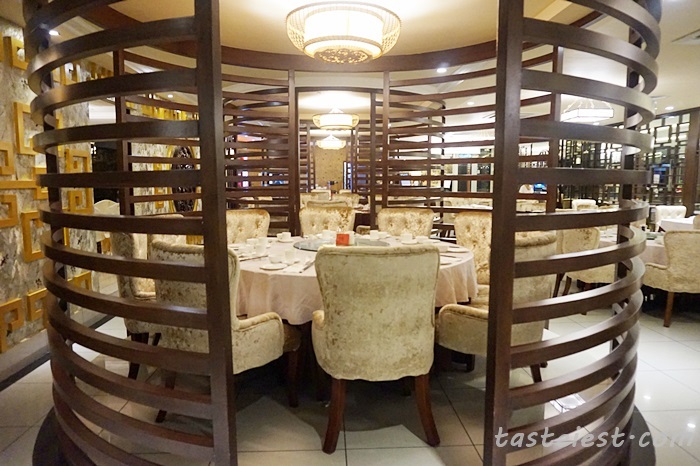 Every room or private dining area here are nicely decorated and overwhelming. 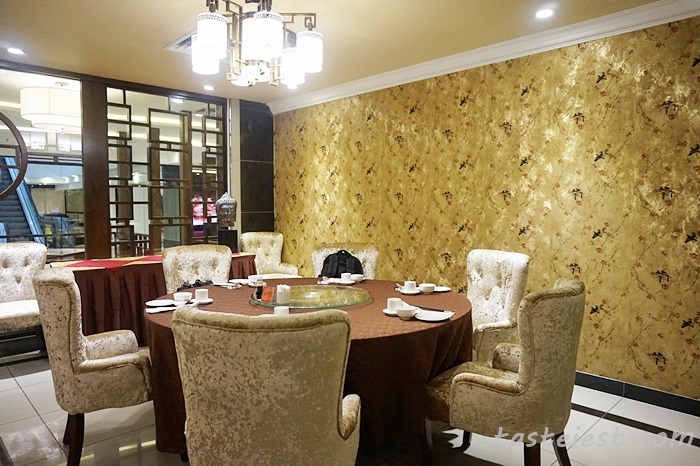 I particularly like their wallpaper and ceiling light that make it look luxury. 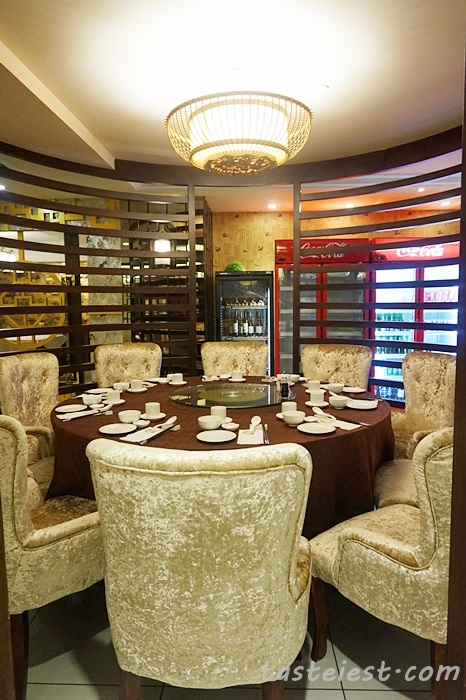 Server were dressed nicely and very professional. 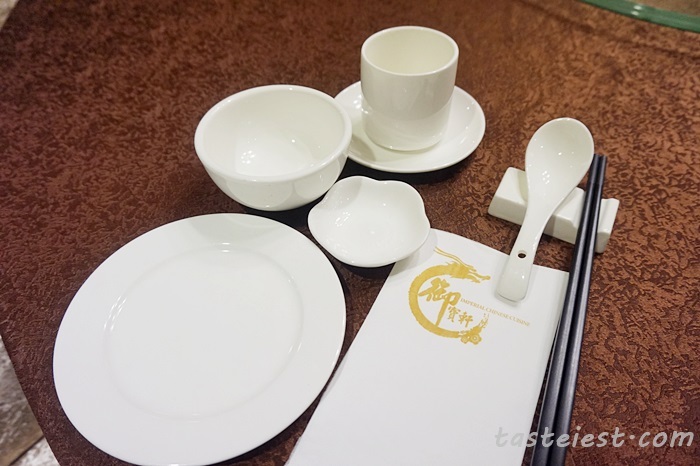 High quality and clean utensils. 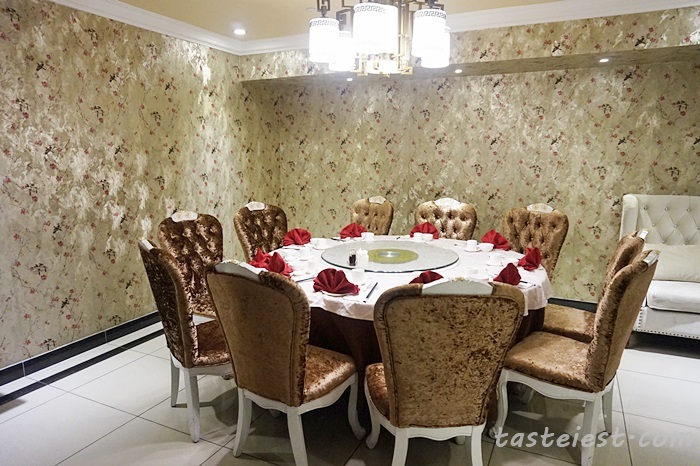 御宝盆菜 Yu Bao Pen Cai RM888/10pax (Picture shown for 6pax), although it just for 6 person but definitely enough for 10 person, i can’t imagine how much ingredients found on 10pax portion, it must be mountain high. 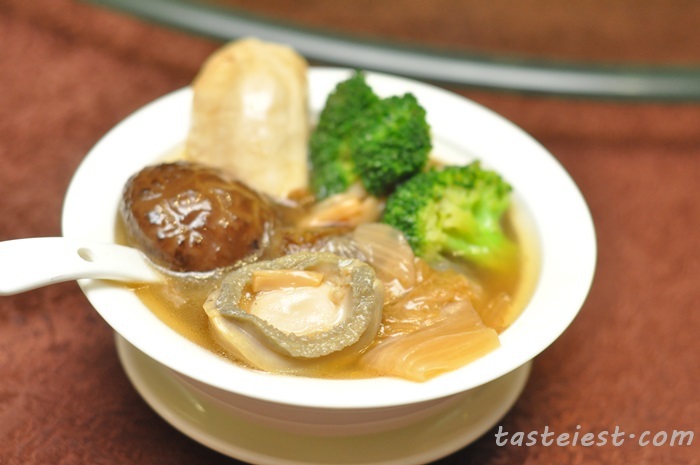 Included in the Pen Cai are Abalone, Scallop, Shark Fin, Fish Maw, Mushroom, Broccoli and Cabbage. 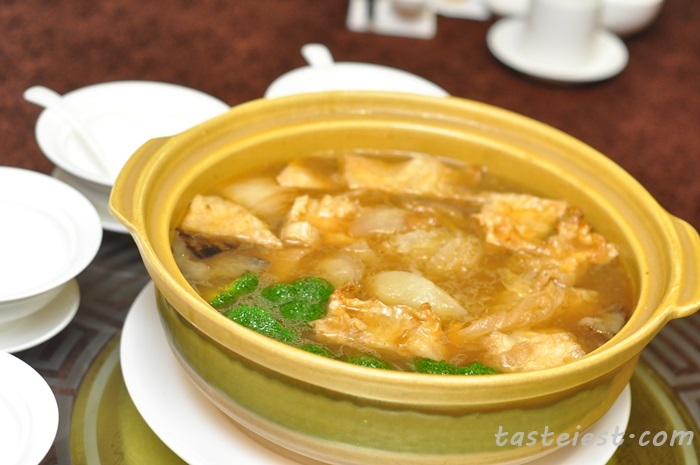 Even before eating any of the ingredients we can smell the special flavor from it and soup taste so delicious, all the ingredients is so fresh and well absorb each other flavor especially the unique flavor from scallop that make it overall taste so good. 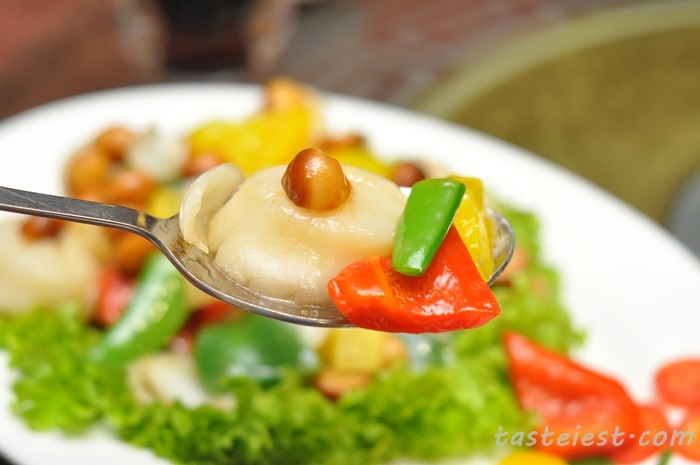 夏果带子 Xia Guo Dai Zi, a combination of dried lily bulb, macadamia, green pepper, red pepper and super big fresh scallop. 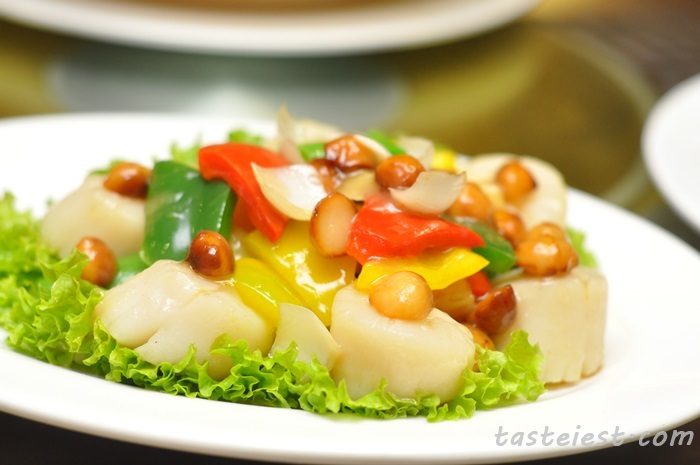 It is one of the biggest scallop I ever try and shock by it sweetness. 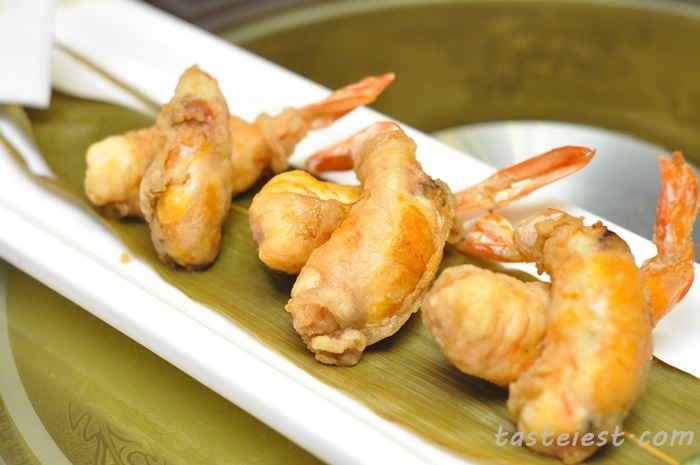 Just simple stir fried of above ingredients but it taste so good. 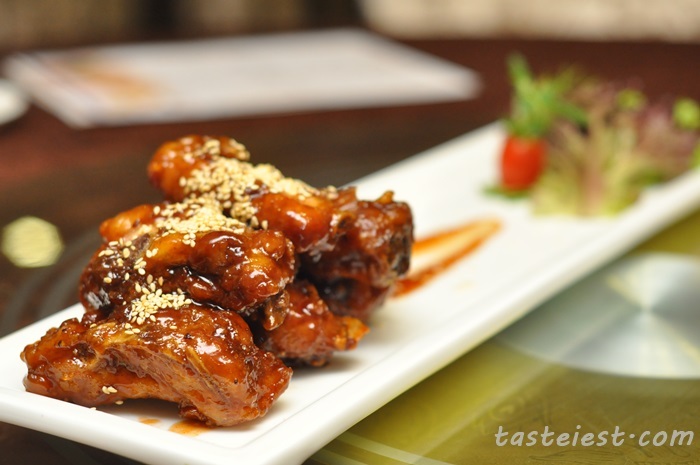 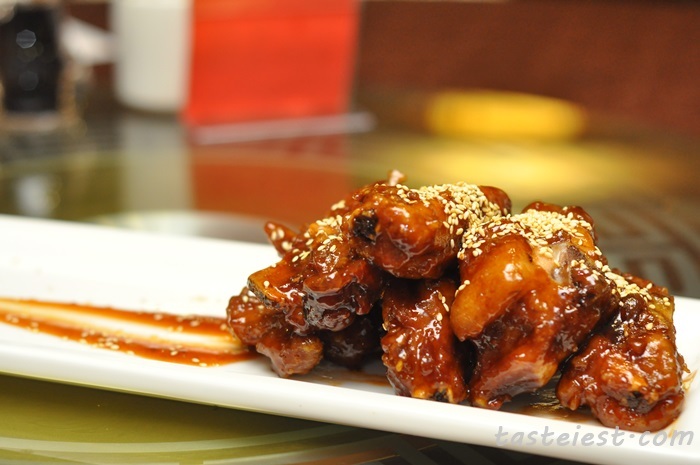 京都排骨 Jin Du Pai Gu, well marinated pork ribs deep fried and coated with a layer of sweet sauce, top with sesame seed. 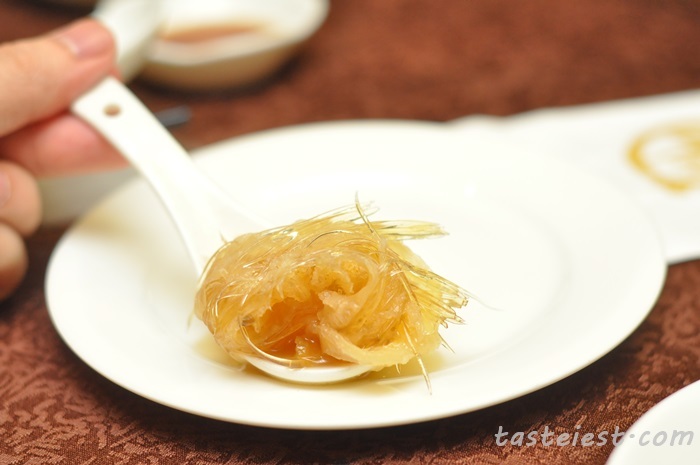 It is very crunchy and sweet sauce with a little big of vinegar make it taste so good. 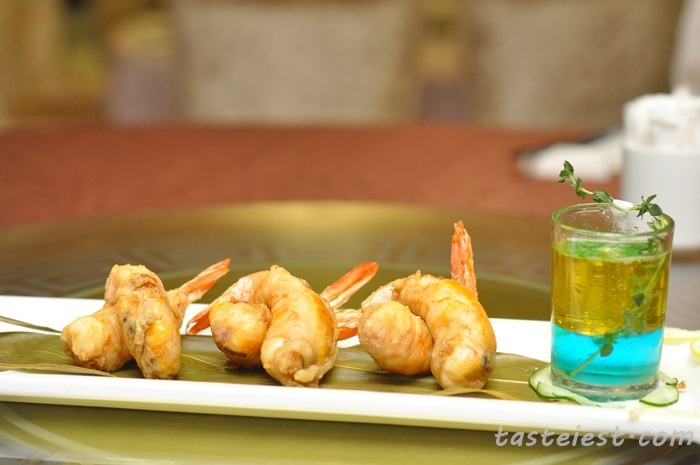 铁网金龙 Tie Wang Jing Long, impress with the food presentation where fresh big prawn wrapped with Chinese sausage, salted egg and vegetable deep fried to golden color. 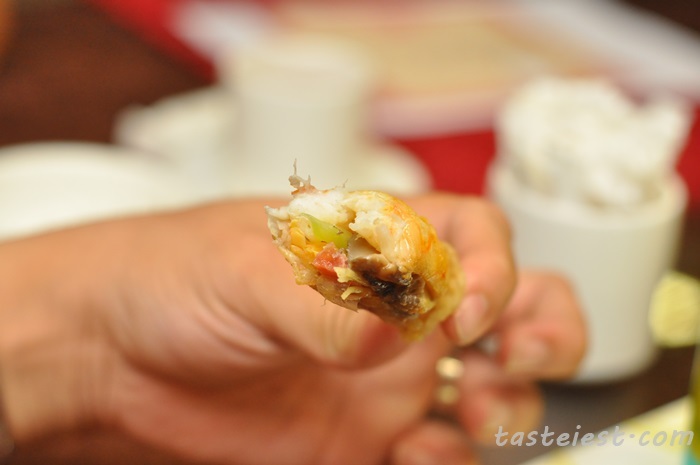 Personally I found the Chinese sausage overpower the prawn natural sweetness. 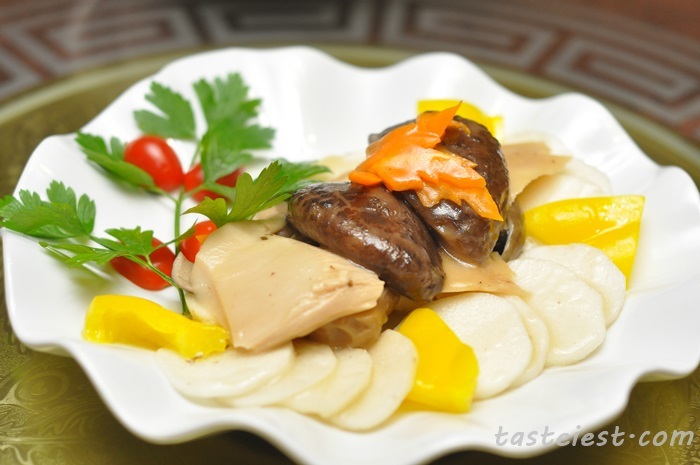 三姑烩山药 San Gu Hui San Yao, three type of mushroom cook with Dioscorea opposita (Chinese Yam) that is one of the very healthy dish we truly enjoy, crunchy texture with soft mushroom is just perfect combination. 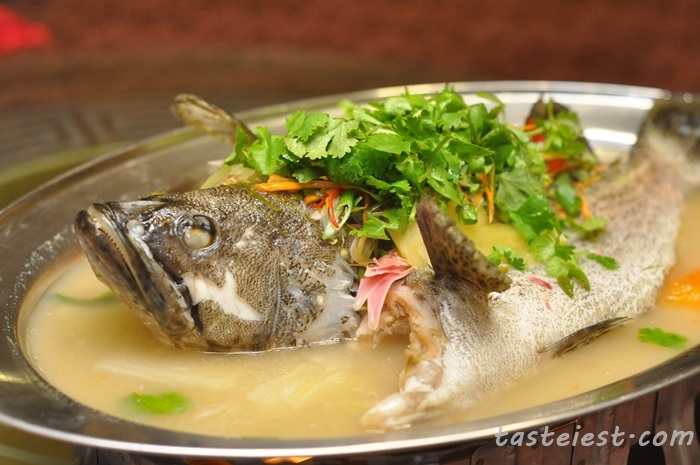 泰式蒸石斑 Tai Shi Zhen Shi Ban, spicy and sour Thai soup steamed with big grouper, it is very appetizing and great to eat with steamed rice. 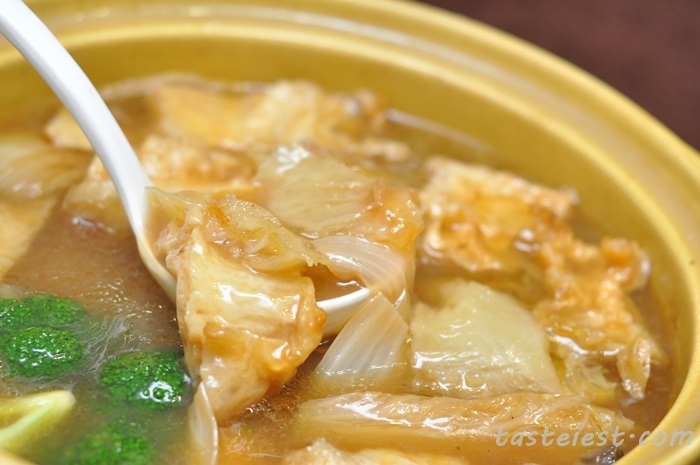 The fish has so much flavor to it and i just can’t stop taking the spicy and sour soup. 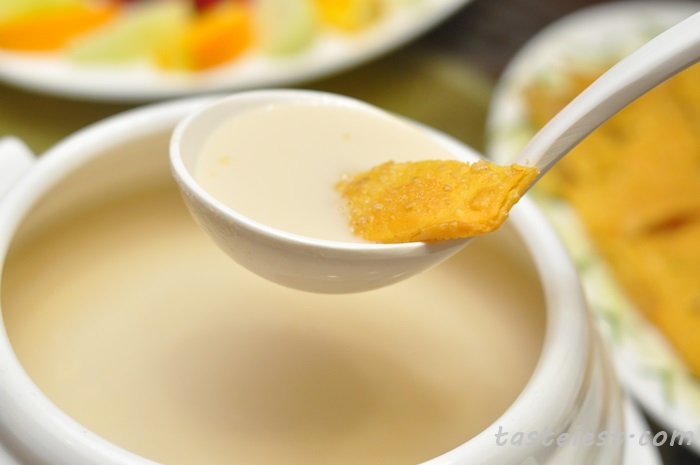 豆水锅饼 Dou Shui Guo Bin, initially this was not included in the menu but suddenly they served dessert to our table and surprise all of us, must be HH talk too loud on her favorite hot soy bean with lotus seed paste pancake and caught their attention, LOL! 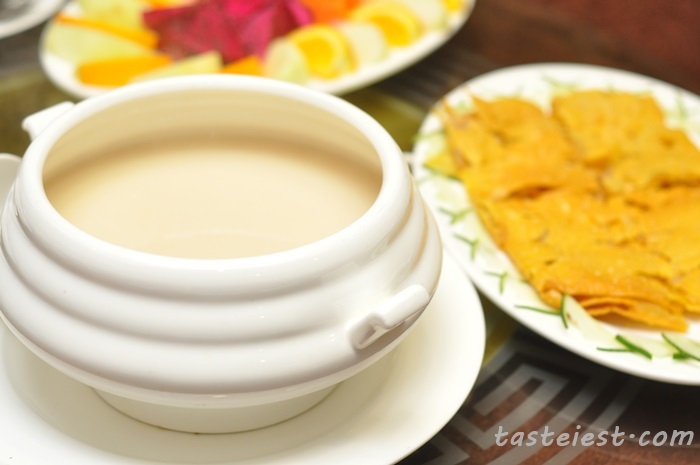 Anyhow, dessert is always welcome for happy ending. 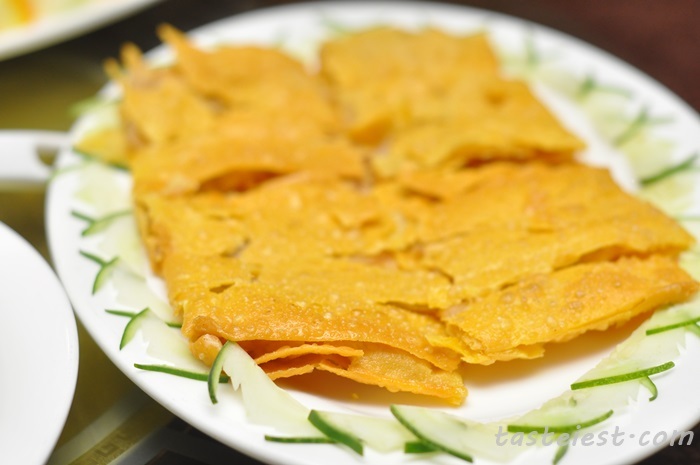 Pancake is nicely make to thin and crispy, lotus seed paste filling is not too sweet as well which goes well with hot soy bean. 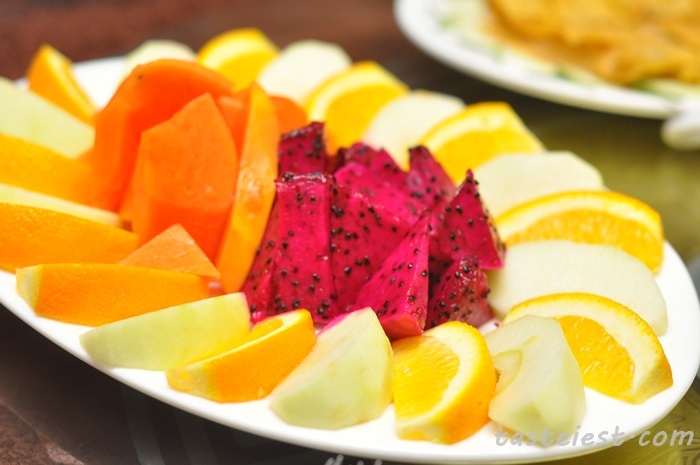 Fresh Fruits Platter that include Dragon Fruits, Papaya, Orange and Apple. 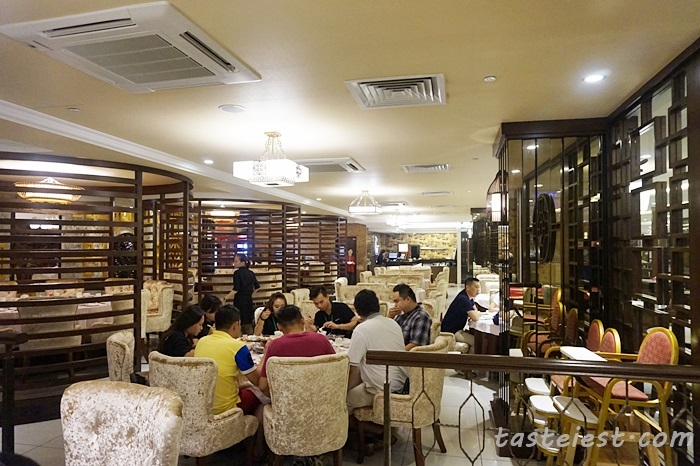 33-SB-01, Prangin Mall, Jalan Dr. Lim Chwee Leong, 10100 Penang.